Hofstra Pride Guides: Congrats to our graduating senior Pride Guides! Congrats to our graduating senior Pride Guides! 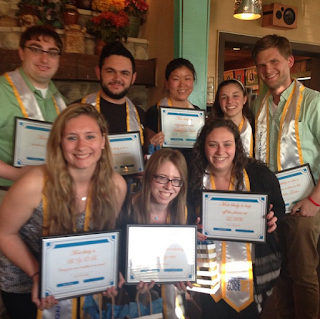 Yesterday, we celebrated the 11 senior Pride Guides graduating in just under two weeks! Classes have wrapped up and we're busy preparing for finals, but it was nice to get together for one last gathering before the summer.